It had to be too good to be true — and it was. The mid-Atlantic’s practically-balmy December has faded into the more familiar freezing January that we expect of our winters here. Now that temperatures have dropped below freezing, it’s safe to assume that snow and ice likely aren’t far behind. Take advantage of these tips to make sure your asphalt looks as good in the spring as it does now. As far as asphalt maintenance goes, it only takes a few steps to keep your asphalt in decent condition year-round. Give it a good cleaning before the snow hits to give yourself a good starting point for spring, and to help identify any cracks or potholes that might already be there or starting to develop. Get those fixed while you still can, or else your problem might grow by the time warmer weather comes around. Another good idea is to give your asphalt a seal coat, although it may be a bit too late to do that for this winter — sealing requires nightly temperatures of at least 50º. Another huge key to asphalt maintenance is to avoid having standing water or snow stay on your asphalt for too long during the winter months. It’s never great to have standing water on asphalt — pooling water can be an early indication of a coming pothole — but it’s particularly troublesome in the winter. 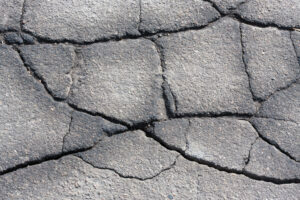 The constant thawing and freezing of snow and ice creates problems for asphalt when the water seeps into the porous surface and re-freezes, expands, and cracks the surface. By taking the time to remove snow and ice before this can happen, you’ll save yourself a lot more time and money on asphalt maintenance than it takes to shovel (or hire the neighbor’s kids to do it for you). We recommend a plastic shovel, because a sharp or bent metal shovel can snag on a crack or other imperfection and cause additional damage. If the snow accumulation is too much for the average shovel, hire professional help for snow removal services. You weren’t ready for a salt pun, were you? Well hopefully it got your attention, because this is another big problem when it comes to asphalt maintenance. As easy as it is to sprinkle some de-icing salt over your icy driveway, this often leads to just as much harm as it does good. Many commercial de-icing salts have additional chemicals in them that can be detrimental to your own health, the environment, and your asphalt. If you absolutely have to de-ice this way, we recommend magnesium chloride, a relatively new version of the product that has proven to be slightly less harmful to all of the above. Try to use salt sparingly if at all, and make sure you shovel the remnants away to avoid having the chemicals damage your asphalt and to avoid having water seep into the surface and re-freeze. For More Information On Asphalt Maintenance, Contact Atlantic Maintenance Group Today! 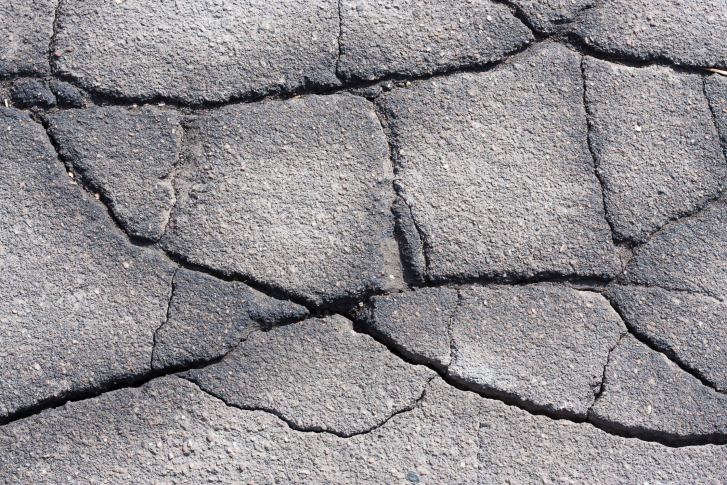 Mother nature can wreak havoc on asphalt, making highly trafficked areas unusable due to potholes and cracks and heavily damaging your property. Expert advice, installation, and care is key in maintaining the integrity of asphalt year round, bust especially during the harsh winter. Atlantic Maintenance offers quality landscape, asphalt, and concrete maintenance services. We have the expertise to help meet all of your needs. Click here for a free quote today, give us a call at 410-768-4720 or contact us via our website to start planning for your commercial snow removal needs. You can also follow us on Facebook, Twitter, Pinterest, and Google+. This entry was posted on Wednesday, January 6th, 2016	at 10:38 pm	and is filed under Asphalt	. You can follow any responses to this entry through the RSS 2.0	feed. Both comments and pings are currently closed.